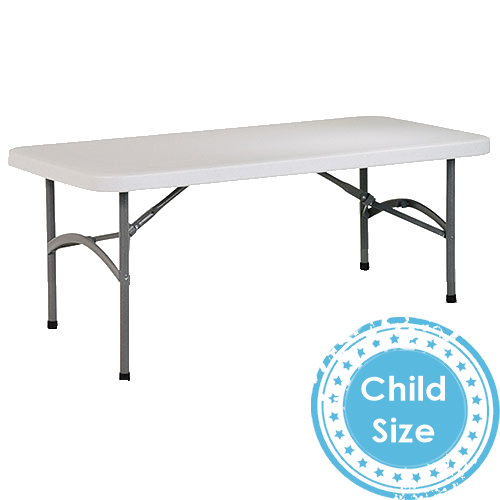 The Kids 4 ft Rectangular Table Rental is a child size table to use for your child's birthday party or event. This must have for children's parties can seat up to 8 kids per table. However, you can combine multiple of these 2 ft by 4 ft rectangular tables in many different way to create one big or long table setup for the kids.